Field Notes: News from the Field: All New Moleskine Cahiers & an awesome Rhodia competition! News from the Field: All New Moleskine Cahiers & an awesome Rhodia competition! Moleskine junkies have been having a great fortnight here in Australia. First, the 2009 2010 18 Month Diaries were made available, then NoteMaker launched a design competition to make your own and now, there are all new colours available. 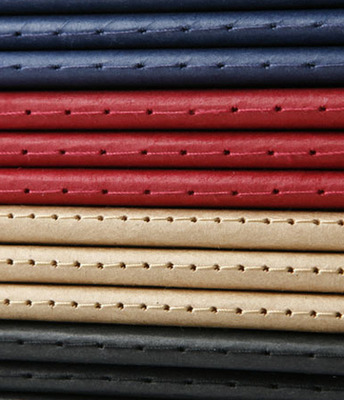 The Moleskine Cahiers - with cardboard cover, gorgeous stiching on the spine and 16 detachable sheets, for total versatility - are now available in Australia in Red & Blue. So finally, there's some much needed variety for all of us who can't stop going through them. Speaking of needs, the Rhodia Essentials Box is up for grabs in an easy-peasey competition at the ThreeThousand! 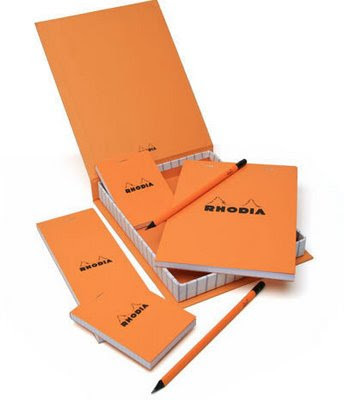 Designers love the Rhodia Pads, we love 'em and so does anybody who is interested in taking notes. So sign up to the ThreeThousand, rack your brain for 5 seconds and win a seriously cool prize.